I knew Rabbie’s offered tours throughout Scotland and I’ve even recommended them (blindly) to friends. 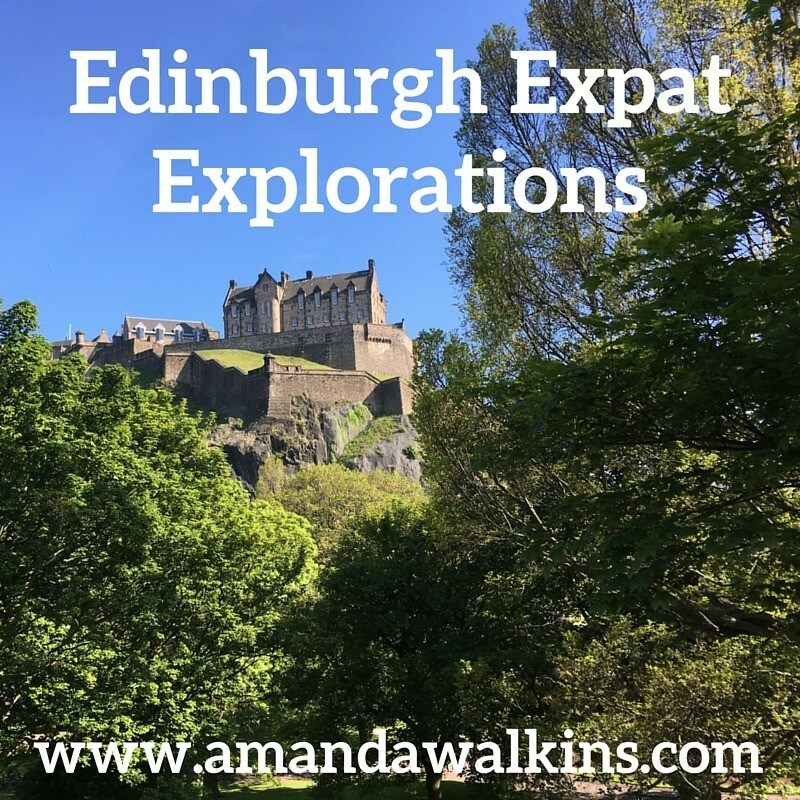 After admitting that fact to a Rabbie’s employee at the Travel Massive event, I was quickly offered a free Edinburgh City Tour for two so I could actually experience their company first-hand. People helping people, see how that works? Given that it’s summertime in Edinburgh (read: occasionally there’s some sunshine! ), we decided to jump on the very first sunny day opportunity we had to take advantage of this generous offer. Rabbie’s Edinburgh City Tour bus with its roof retracted. This is the departure point for all Rabbie’s city tours leaving Waverley Bridge. So what can you cover in almost an hour and a half of driving around Edinburgh? SO. MUCH. All of Rabbie’s city tours depart from Waverley Bridge. You’ll see the Rabbie’s departure point sign across the street from the Lothian Bus office at the corner of Waverley Station (by the Edinburgh Dungeons). We hopped on the 1pm departure on a stunning sunny day and rolled down to Princes Street for the beginning of our tour. The Rabbie’s Edinburgh City Tour features a recorded tour guide highlighting points of interest and extra little stories along the way. It’s connected to the bus GPS, meaning you follow along in real time, regardless of traffic or other delays. From Princes Street, you’ll head down Lothian Road for a great view of the castle from Castle Terrace, and into the Grassmarket. Up past Greyfriar’s Bobby, to the University of Edinburgh campus, you’ll hear stories of famous locals and unique facts along the way. A short jaunt on the Royal Mile gives you just enough of a glimpse without inundating you with traffic and pedestrians. Down over the Mound and into New Town, you’ll learn about the city’s growth and expansion. The view of Edinburgh Castle from Castle Terrace below. You’ll venture past Dean Village (one of my favorite spots in the city) and around the Stewart’s Melville College area. This is a beautiful part of town filled with quiet, lovely neighborhoods. Circling back through West End and down the length of New Town, you’ll pass Calton Hill and the Old Royal High School, with a gorgeous view of Arthur’s Seat off to your right. A quick turn between Holyrood Palace and the new Parliament building below offers good photo opportunities for both buildings, regardless of which side you sit. The view of Arthur’s Seat as you pass under the Old Royal High School building on Rabbie’s Edinburgh City Tour. Finally, you’ll head back up from the bottom of the Royal Mile, and back to Waverley Bridge where your tour ends. Whether you call Edinburgh the Athens of the North or Auld Reekie, you’re sure to learn some fun new facts or stories from Rabbie’s Edinburgh City Tour. I loved hearing poetry and prose from some of Edinburgh’s most famous writers along the way, plus even a bit of local music when there was enough of a gap between points of interest. Seeing the city by bus allows you to really grasp the diversity Edinburgh offers, showing off the last several centuries of art, culture, politics, and more. Personally, I would’ve preferred the tour guide be live so I could ask questions or further clarify some points. I also think it helps to fill in more gaps when traffic is bad (like the first several minutes of just trying to get off Waverley Bridge!). However, our driver was exceptionally nice and the whole experience was such a great overview of this beautiful city. Luckily, since this lovely town is also famously damp, the Rabbie’s bus roof is retractable and made of glass. So whether it’s great weather or dreich, you can still enjoy the views upward as you venture around. And, in Edinburgh, you should always be looking up so you don’t miss anything (hint: look for unicorns…seriously!). The view of Calton Hill near the end of Rabbie’s Edinburgh City Tour. Have your camera at the ready for the entire tour – there are beautiful views to take in, but the bus can’t always stop for a photo op. The driver did pull over in front of several fantastic photo spots, so you won’t have all blurry pictures. Take some notes along the way! You will be absolutely inundated with fascinating little tidbits, and it’s all too easy to forget the details! Look up. Edinburgh is a city of many levels, and visitors often focus so much on what’s underfoot that they miss the many astounding views above. Take advantage of the open/glass roof and keep your eyes upward! Book in advance if you have a tight schedule. There are so many tours (on the hour every hour), but you wouldn’t want to miss out if the time you show up is already full. Get to Waverley Bridge early. You don’t want to be running up as the bus pulls away. It’s a great spot for photos anyway, or just hang around by the entrance to Princes Street Gardens and stop to smell the flowers while you wait. Get social! The Rabbie’s social media accounts are regularly witty and entertaining, so get on their Twitter, Instagram, and Facebook and give them some feedback about your tour. Full disclosure: As mentioned, we were offered two free tickets for the Rabbie’s Edinburgh City Tour. I’m also an affilliate of Rabbie’s, so if you book a tour by clicking any of my links I receive a small commission at no extra cost to you. Trust me, if I hated Rabbie’s, I would tell you as much. But I’m a total nerd and loved learning so many fun new facts! Want some bonus facts I learned? Edinburgh can claim several notable poets and authors as her own, including Sir Walter Scott, who I learned was responsible for unearthing the Scottish Crown Jewels. Also, Robert Louis Stevenson, whose poor health couldn’t handle the Scottish dreich so he spent his adult life seeking tropical climes. It was through inspiration from those travels that he wrote Treasure Island. And, while not an Edinburgh native, there was Robert (or Rabbie…get the connection?) Burns, on whose birthday we got married! ).